There are no participation fees. Participants are asked to cover their own travel expenses, hotel costs and eventually evening meals. 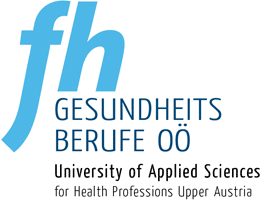 It is our pleasure to announce our second „International Staff Days for Health Professionals“, happening in Linz (Austria). The staff days will take place from 19th to 22nd March 2018. The aim of the event is to bring together staff from different health professions from our partner universities as well as from from new potential partner institutions. There will be a limited number of participants. We welcome staff from HEIs with background in health professions and experience in international work like academic staff, international coordinators and staff from international offices with an health profession background. We encourage you to participate in an active way.There will be the possibility to present examples of interprofessional learning and innovative learning methods for approx. 15 minutes. With your application you can send us your topic for a best practice presentation. Since there are limited time slots, we will make a selection after the registration. Additionally we ask you to bring posters from academic staff or from students, which aim at the mentioned topic. We will have a poster presentation during lunch time on Tuesday. The working language will be English. Please be aware, that participants must have sufficiant English knowledge in order to take part in the international staff days. If you have any further questions, dont’t hesitate to contact us.